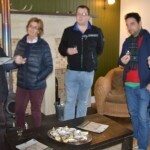 Wednesday afternoon, saw us leaving Kilchoman Distillery and heading to Port Ellen for the SECOND whisky tasting of the day ~ an exclusive Scotch Malt Whisky Society Tasting hosted by John McCheyne. 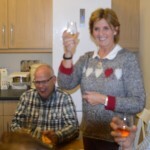 Our guest for the evening was Florence Grey, chair person of the voluntary commitee who organise Feis Ile ~Islay Whisky Festival. Thursday saw us learning chemistry of maturation in the morning. 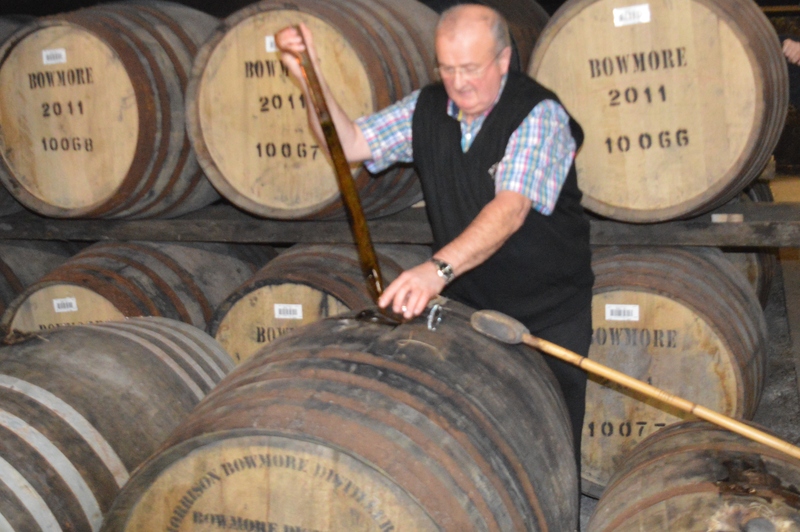 And a practical focus on Wood, Warehousing & Maturation took us on a tour of Bowmore Distillery, where we joined some delegates drawing samples from their own casks in Warehouse 5. 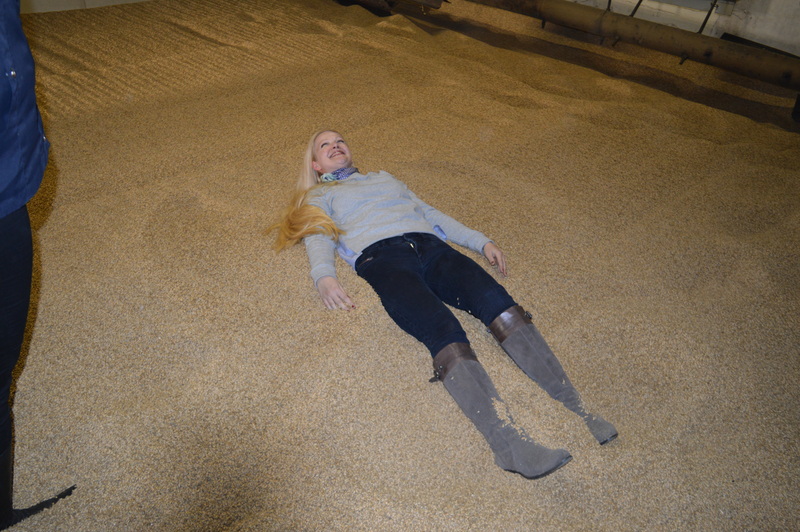 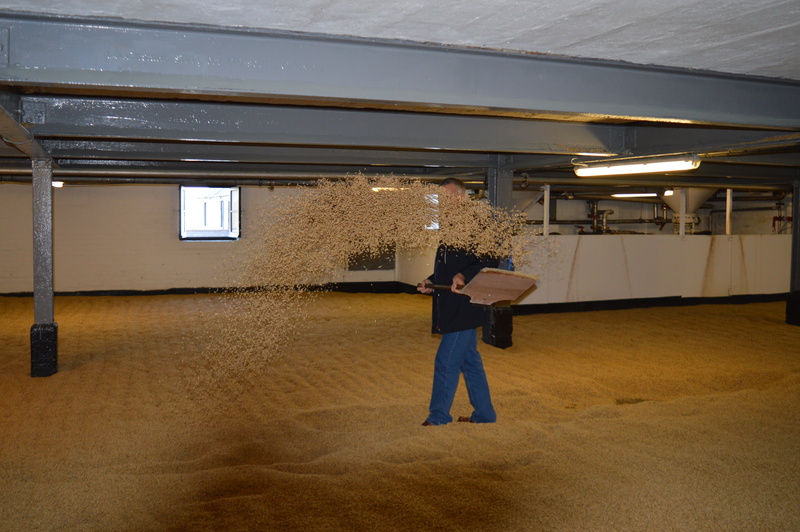 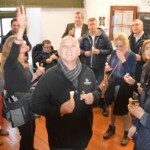 Later, in the malt barns and kilns the artistic among us created barley angels, whilst the diligent practised turning green malt…..
Thursday evening brought the eagerly anticipated Whisky & Scottish Cuisine Dinner/Ceilidh. 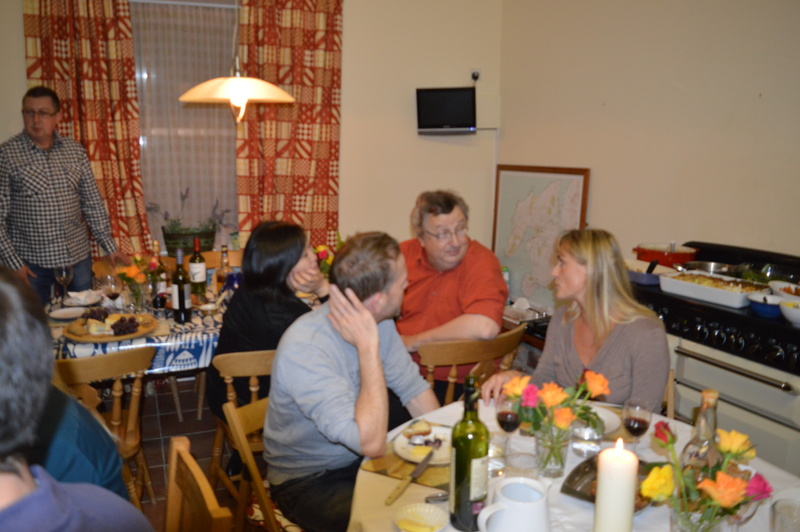 Two local cooks created a beautiful meal for us, held in the largest kitchen of all the houses. 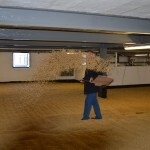 Hunter Laing, R & B Distillers & R.D. 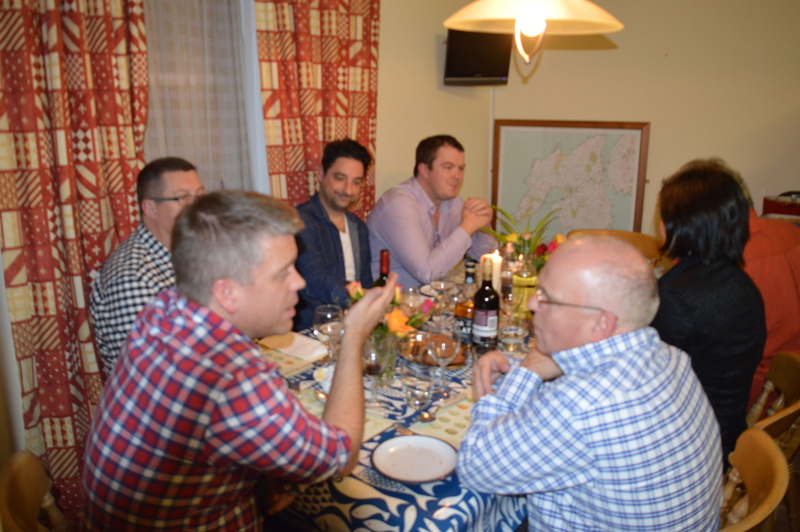 Rattray sponsored the meal by sending us lovely bottles to enjoy. 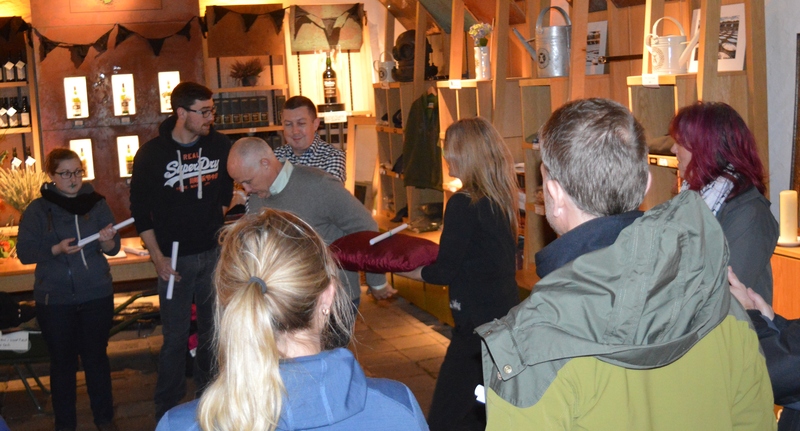 Also gifted were bottles from OWL Distillery, Mackmyra Distillery and various others. 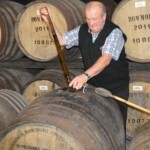 Whisky for Girls (& Guys!) 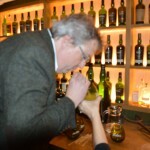 provided a rather delicious port finish Kilchoman. 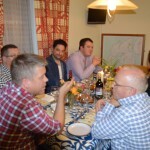 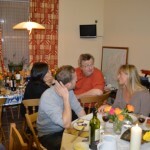 I really enjoyed the meal as it was very informal and relaxed, just like an old time ceilidh. 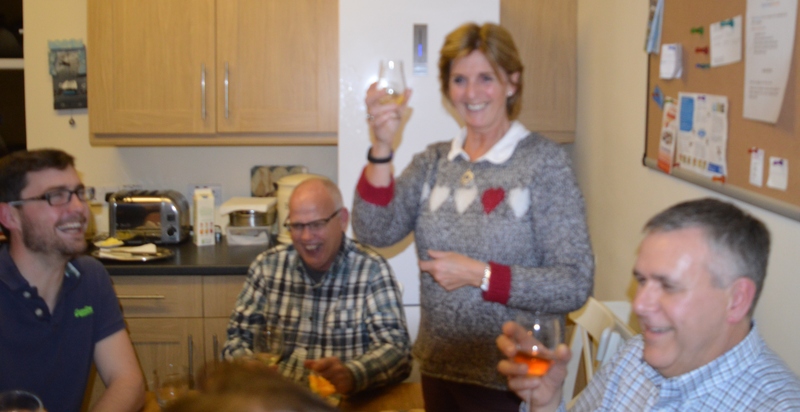 Over the course of the leisurely meal, everyone stood up when inspired to do so and made a spontaneous toast ~ it could be as heartfelt or ridiculous as one wished….. and they were! 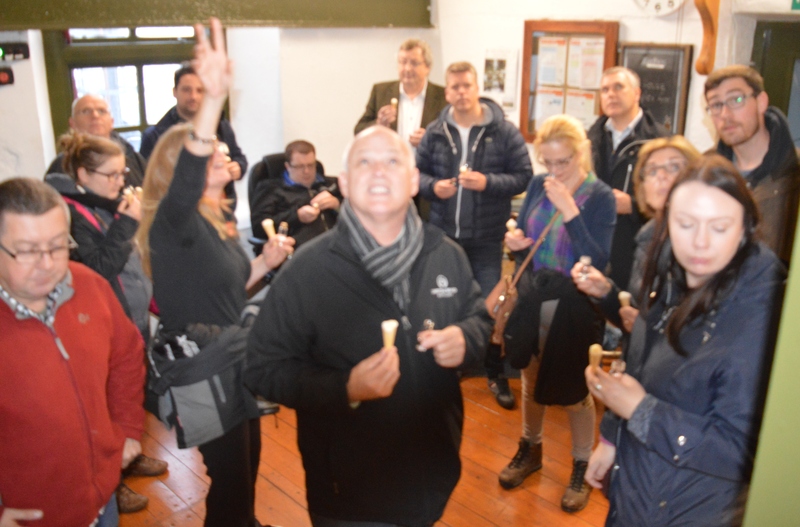 After coffee, when everyone thought they could just chill…. 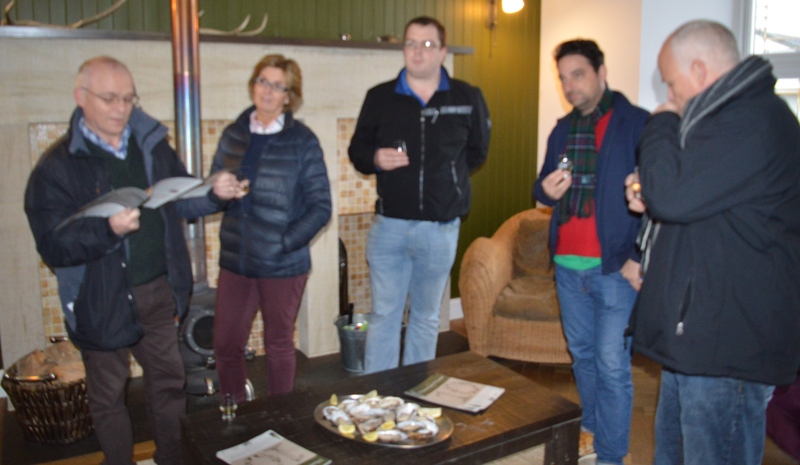 in an heartfelt outburst of ‘bon homie’, I generously took it upon myself to teach the assembled company that Islay anthem… The Lights of Loch Indaal…. 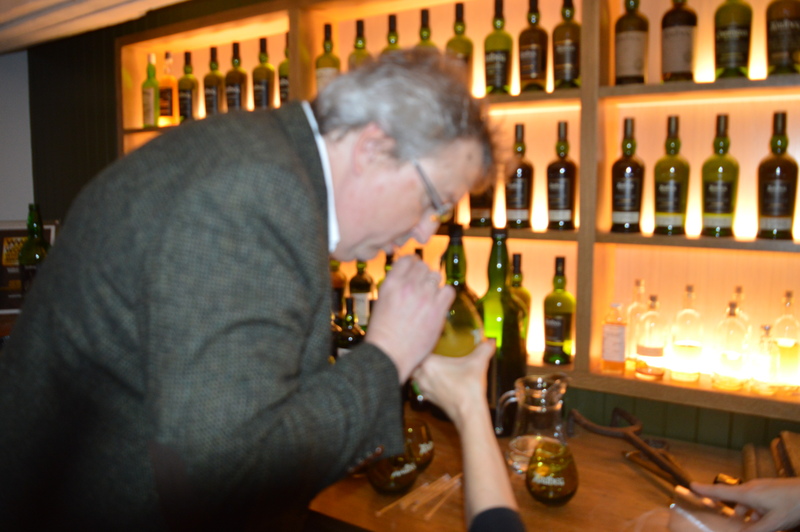 SMOKING Ardbeg10 YO in the chairperson’s study…. 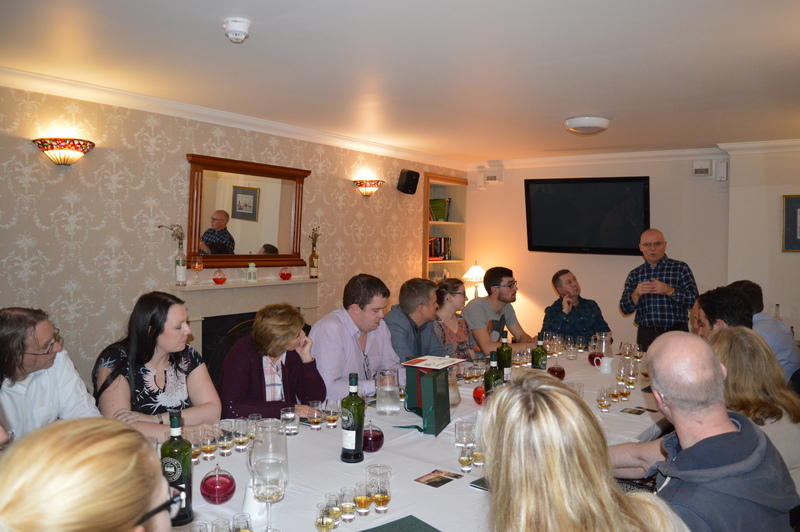 “WHISKY COURSE ISLAY 2015 wishes to be an educational break from the corporate norm….. I believe WHISKY COURSE ISLAY 15 fulfilled these hopes.